Baker Stone Pizza Oven Box - Moar Stuff - You don't need it but you know you want it. You you love pizza? Of course you do! I’d bet you’d like to have your own backyard pizza oven but, just can’t justify yet another outdoor appliance sitting on the patio, right? Well, the Baker Stone Pizza Oven Box will solve your problem. 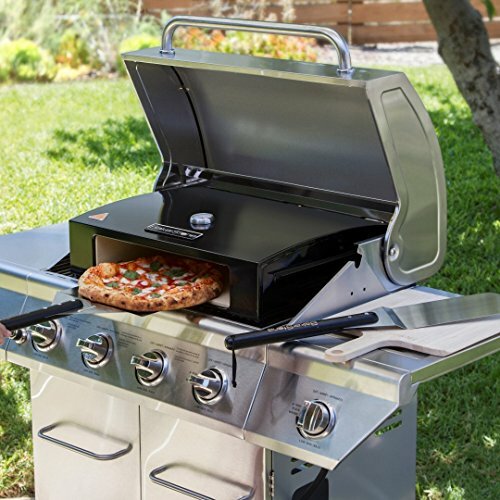 This steel and ceramic box lets you convert your gas-grill (or larger charcoal grill) into a pizza oven. Unlike some other pizza oven kits, this one doesn’t require any modification of your grill. All you have to do is plop the box on your grill and light er’ up. 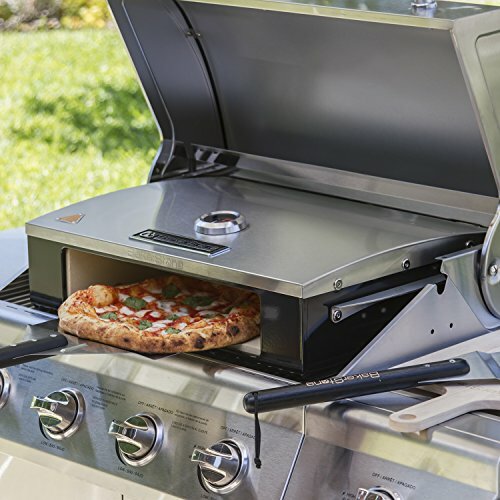 The Baker Stone Pizza Oven Box’s patent pending design raises the temperature of standard outdoor grills to that of a real wood burning pizza oven. Unmatched baking and cooking performance is achieved by combining a stone baking chamber with an enameled steel housing, creating a unique air flow system which enhances convective, conductive and radiant heat in and around the cooking chamber. It can cook pizzas up to about 18 inches in diameter so, you can make enough for the whole family. 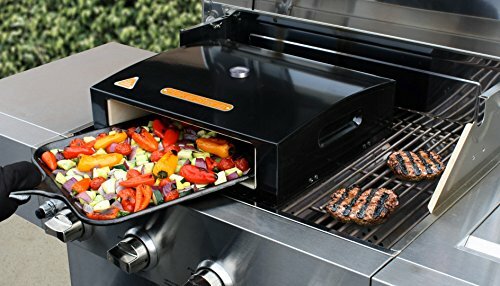 In addition to being an awesome pizza oven, it’s also great for baking bread and grilling veggies (because there’s always a vegetarian in the crowd). So, if you want to start making your own awesome backyard pizzas, check out the Baker Stone Pizza Oven Box. Dimensions: 22.8 x 16.3 x 6.2 inches. Materials: Enamel-coated carbon steel and ceramic.